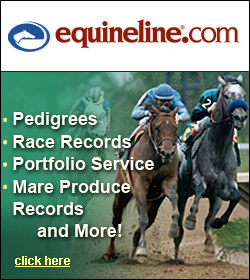 The following appeared in Bloodhorse.com on April 1st. Taking advantage of a Springdale Racecourse that favored speed, Stonelea Stable’s Balance the Budget jumped out to a yawning early advantage in the $150,000 Marion duPont Scott Colonial Cup (NSA-G1) March 31 and came home to a 6 1/4-length victory under Mark Watts. Zanjabeel, making his first start in open company in this country, closed ground in the stretch but never threatened Balance the Budget, who recorded his second straight National Steeplechase Association graded victory for trainer Julie Gomena and his first NSA grade 1 win. Edith Dixon’s Schoodic took third, and Hinterland was fourth in a field of six. Balance the Budget, a 9-year-old Bellamy Road gelding, ran the Colonial Cup’s 2 3/8-mile distance in 4:30 flat on firm turf. The Colonial Cup, the first grade 1 race of the NSA season, keyed a record-setting 84th annual Carolina Cup Races in Camden, S.C., under clear skies with temperatures in the low 70s. The meet offered a South Carolina-record $325,000 in purses. On an afternoon when speed was holding well, Watts wasted no time in moving the frontrunner to the lead and quickly opened a margin of more than 20 lengths over Zanjabeel and Show Court. Those two were at the head of Balance the Budget’s trailing group. Balance the Budget continued to jump forwardly, and Watts gave him a brief timeout before entering the final turn. “I gave him a break there, and then I got him going again. He was going very well,” the South Carolina-based rider said. Balance the Budget closed 2017 with a nine-length score in the International Gold Cup’s David L. “Zeke” Ferguson Memorial (NSA-2), in which he opened a long lead and cruised to his second graded victory. On the same Springdale Racecourse turf as the Colonial Cup, he won the 2016 Carolina Cup Hurdle Stakes for novices, or horses in their first seasons of racing over fences. The Colonial Cup was Balance the Budget’s sixth win over fences for Virginia-based trainer Gomena, and the Colonial Cup’s $90,000 first-place purse raised his career jumps earnings above $400,000. Zanjabeel, now owned by Rosbrian Farm and Wendy and Ben Griswold, marched through the novice ranks last fall, winning Far Hills’ Foxbrook Champion Hurdle Stakes for his former owners and then winning the AFLAC Supreme Hurdle Stakes for trainer Ricky Hendriks and his new American owners. He finished 2 1/2 lengths clear of third-place Schoodic.